Can Specialty Materials And Environmental Technologies Drive Growth For Corning In Q3? How Important Is The Specialty Materials Segment To Corning? Can Optical Communications And Environmental Technologies Drive Growth For Corning In Q2? How Important Is The Optical Communications Segment To Corning? How Did Corning Perform In Q1? How Is Corning Likely To Grow In the Next 2 Years? Is The Market Pricing Corning Fairly? What Is Corning’s Fundamental Value Based On Expected 2019 Results? Corning (NYSE:GLW) reported a solid fiscal 2018, driven by sales growth across its business lines, led by investments in innovation and capacity expansions. In Q4, the company comfortably beat consensus estimates, with its revenue coming in at $3.1 billion (+15% y-o-y), and its adjusted earnings per share coming in at 59 cents (vs. 46 cents in Q4’17). The company’s net income for the fourth quarter improved significantly to $292 million or 32 cents per share, from a net loss of $1.4 billion or a loss of $1.66 per share in the prior year period, primarily due to top-line growth and lower taxes. We currently have a price estimate of $34 per share for Corning, which is about in line with the current market price. We have summarized our full year expectations for the company based on its guidance and Trefis estimates, on our interactive dashboard Corning’s Fiscal 2019 Outlook. 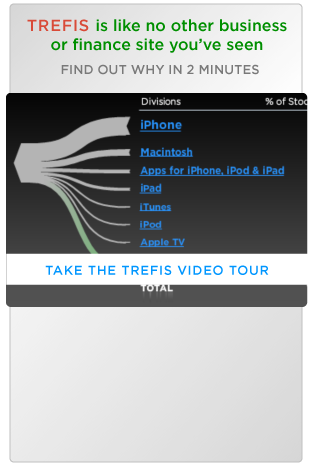 You can modify any of our key drivers to gauge the impact changes would have on its valuation, and see all Trefis Industrial company data here. How Did Corning Fare In Fiscal 2018? Corning’s revenue grew by 11.6% in FY 2018, driven by revenue growth across businesses – particularly Display Technologies, Optical Communications and Environmental Technologies. Corning reported full-year GAAP EPS of $1.13 while fourth quarter core EPS stood at $0.59, up 28% year over year. GAAP net income was $1.066 billion compared to a net loss of $497 million a year ago. Total expenses were up by 16% (y-o-y) due to higher cost of sales, which in turn shrunk operating income by 9.3% to $1.5 billion. What Drove Corning’s Growth In 2018? All of Corning’s businesses produced year-over-year sales growth in 2018, powered by adoption of innovations and strategic growth investments. Optical Communication sales (accounting for 37% of total sales) were up 18% for the second consecutive year largely due to improved demand for its Carrier and Enterprise Network products, coupled with the acquisition of 3M’s Communications Markets business. Environmental Technologies full-year sales growth accelerated to 17%, driven by growth in all product categories and adoption of gasoline particulate filters. Display Technologies Sales (constituting approximately 28% of total sales) grew by 4%, led by an improved display glass pricing environment and the successful ramp up of the Gen 10.5 plant. What Is Corning’s 2019 Outlook? 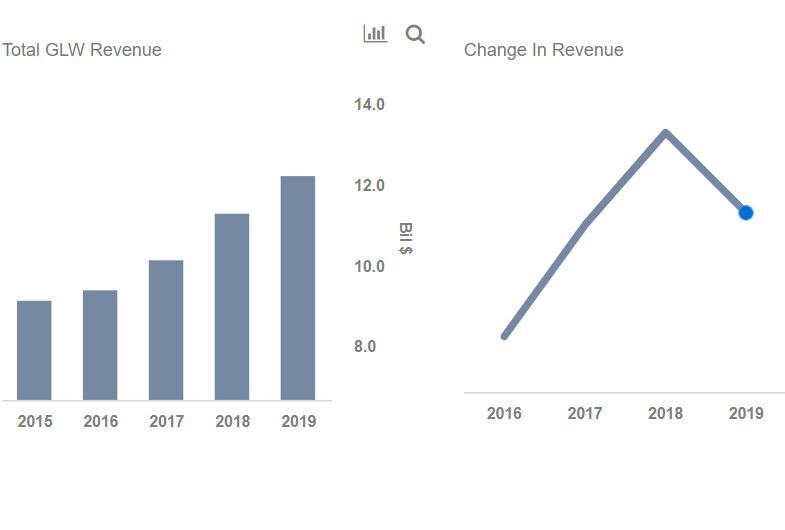 We expect total revenue to increase by 8.2% to $12.2 billion in FY 2019, primarily driven by growth in the Optical Communication Segment, which in turn is expected to grow by 10.5% (y-o-y) to $4.6 billion in 2019 from $4.2 billion in 2018. Gross margin is likely to expand due to improved utilization of new manufacturing capacity, as well as the robust sales growth. In addition, a lower tax rate coupled with moderate growth in operating expenses will most likely boost Corning’s net income margin, and in turn its EPS. We estimate the fair value for Corning’s stock to be $34 based on our Non-GAAP diluted EPS estimate of $2.00 for full-year 2019, and using a forward P/E multiple of 17x.